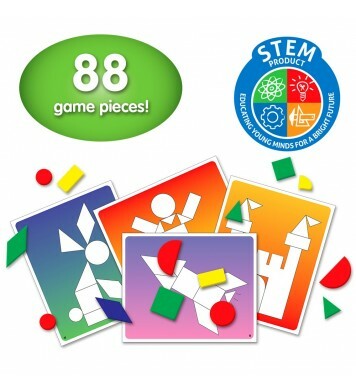 My First Puzzle set series are great starter puzzles and will help little hands develop their fine motor skills. 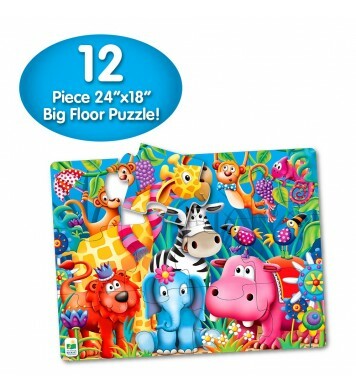 My First Puzzle sets contain four puzzles depicting fun characters that your young ones will easily recognize. 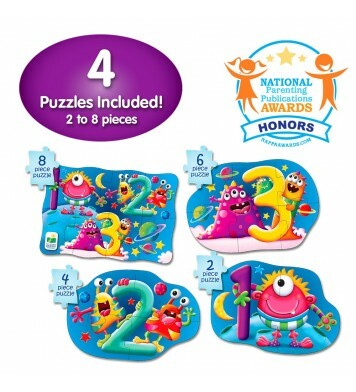 The puzzles progress from 2 pieces to 4 pieces to 6 pieces to 8 pieces, giving your child the opportunity to grow with the set as they grow and develop. The 8 piece puzzle brings the characters from the other three puzzles together in one animated scene with lots to discuss and talk about. 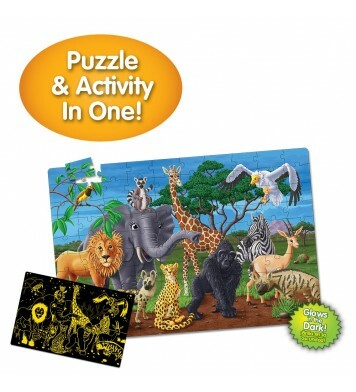 My First Puzzle sets are a great way to help your toddler begin building their tactile and problem solving skills. 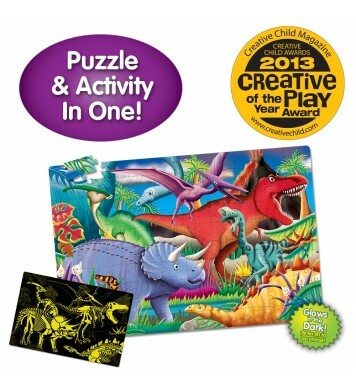 Each puzzle measures approximately 12.5" x 8.5" . Ages 2+ years.